When moving to New York City you will have to make some adjustments regarding your living environment. First of all, become accustomed to the idea of downsizing. Be creative in order to maximize your living space and remove unnecessary furniture. The packing and furniture disposal in NYC process should always start with a list of your requirements and tasks to be done. Relocating from a house to an apartment may come with some perks. The choice of large items that will make it to your new home will be significantly limited. Maybe you should consider removing that worn out sofa and stuff you’ve been accumulating for years. Make a clean slate! One of the options for dealing with excess furniture is renting a storage place. This option comes with some serious prior research and additional charges on a monthly basis. If you are having trouble finding the right storage unit that accommodates your needs in terms of size and price, we can offer you an alternative for furniture disposal in NYC. New York City offers free curbside removal service, however, it comes with limitations. 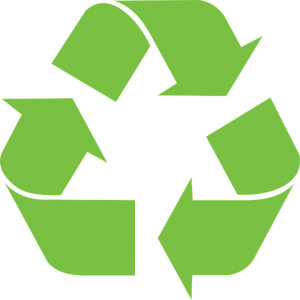 Bulk recyclable items are picked up on recycling collection days, while other bulk items are collected on normal days. However, you should schedule an appointment for larger items to be taken away. Keep in mind that furniture disposal shouldn’t obstruct the traffic. The items mustn’t be placed on the street or in front of other properties. So, you’ve decided to move to a city that never sleeps and offers endless possibilities! We applaud your decision. New York City with its five very diverse boroughs is the mecca for aspiring artists, professionals advancing in their careers, numerous tourists and everyone looking for adventure and pursuing their dreams. It will not disappoint when it comes to providing you with plenty of cultural venues, as well as entertainment options that will keep on giving. Planning a move to the Big Apple is an exciting, yet overwhelming process. Adventure and risk shouldn’t be involved though while organizing your relocation, or at least, it should be reduced to the minimum extent. Here’s where professional moving services will come in handy. Whether you are moving households or making an office move, it is advisable to use the expertise of professional moving companies or office movers NYC. Hiring a reliable mover will spare you some headaches and will help you focus on what’s important. If you are making a long distance move and have a lot of personal items and bulkier objects, you will need as much assistance as possible to deal with furniture disposal in NYC. Finding a trustworthy moving company is never an easy task, especially in a busy city where is more likely to fall victim of many scammers that operate out there. Even though the additional costs may dissuade you from hiring a mover, you should weigh the pros and cons and make the best decision. In order to prepare for the packing of your belongings and take care of the furniture disposal in NYC, do your research and hope for the best. Time management will be crucial in order to secure a well-organized moving process. Setting up a schedule and establishing the budget will keep you on track and prevent you from wasting your means and energy elsewhere. Having listed your belongings, you should proceed with providing the necessary packing material for your household items. Now that you have an approximate idea of the number of items you should pack, the next step is to provide the necessary packing material. You can purchase the packing supplies at moving retailers and office supply shops. However, if you are on a tight budget you can compare prices and find great deals while browsing online. Since you will need plenty of boxes, don’t hesitate to ask you mover whether there is an option of getting some free moving boxes. Bear in mind that valuable and fragile objects require special attention and handling. 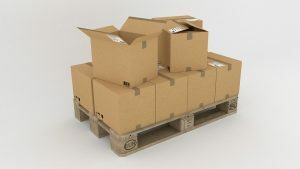 Consider going an extra mile and packing them properly, using specialty items moving accessories. After you’ve finished packing the essential and smaller items, the question of moving larger objects arises. The moving and packing process should motivate you to rethink what are the items that are truly indispensable to you. Choose wisely which items are for keeping and which ones you will leave behind. Considering you are moving to a space-deprived city, research the furniture disposal options. If you are not willing to pay extra for a storage unit, we will present you with some useful tips regarding bulk and furniture disposal in NYC. Furniture disposal in NYC can be an arduous and tricky task. Be ready to test your friendships, because there will be some heavy lifting. Whether you are relocating or just upgrading your furniture, manpower will be necessary to remove the old items and clear out your space. Not only will you have to dismantle the pieces before taking them out the door, which is an additional problem if you live on higher floors, but you need to load them, as well. We recommend you an easier solution – make an appointment with hauling professionals. There are plenty of professional companies that are in the business of furniture disposal in NYC. You can solicit the professional moving services NYC of an eco-friendly company that will take away your no longer need items, without you lifting a finger. The mover should offer you an all-encompassing service, starting with fair pricing and an onsite customized quote. The price is based on the size of your load and should be estimated in person. The costs may vary depending on the area where you live, the disposal fees or gas prices, but make sure that there are no hidden fees that will add on to the final price after you’ve made a deal. A reputable company will load your furniture and clean up before they leave making the removal process more comfortable. Most of the furniture parts can be recycled. You shouldn’t just toss your couch or throw it in the dumpster since they can get a new life. A trustworthy mover will responsibly and adequately remove your bulk items and take care of their recycling. 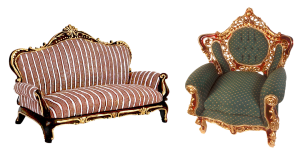 Donate it – Most of the charity organizations will make good use of the furniture that is no longer serving you. They can recycle, reuse it, restore it or even re-sell it, but it will not go to waste. Small, local theaters can provide a new life for the furniture on the stage. Organize a yard sale – Here, the opportunity of de-cluttering presents itself. Furniture disposal shouldn’t be viewed only as a burden, but you can make it fun. Gather around a group of neighbors and friends and organize a garage sale. Sell it online. If you want to not only get rid of old furniture but make some extra cash, the Internet is the place to go. 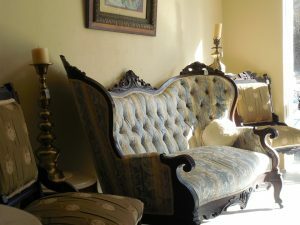 Make sure your furniture is in decent conditions, make good photos and take a chance on sites like eBay or Craig’s List.